Using flavored simple syrups is always a quick and easy way to bring a ton of flavor to basic cocktails, but somehow they are often misinterpreted as being complicated. After some rave reviews on the Black and Gold cocktail a few weeks ago, I decided that another tea syrup recipe was in order to reinforce their simplicity. 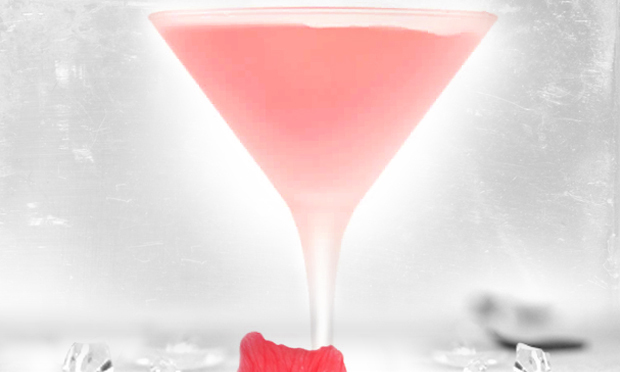 This week, we’ll be making a cocktail with exotic hibiscus flavors, without the actual flowers. To make the raspberry hibiscus syrup for this cocktail, bring 1 1/4 cups of water to a boil, cut the heat, and thrown in 6 raspberry hibiscus tea bags after removing the strings and tags. I always use Stash Tea for this recipe, but you can use whichever brand you like, heck- you can even use another flavor, if raspberry hibiscus isn’t your thing. Using light fruit flavors like strawberry pomegranate or peach vanilla will also work great for this recipe. Let the tea bags steep for about 10 minutes, then remove them, squeezing out any extra liquid. Stir in 1 cup of sugar until fully dissolved, and let cool. 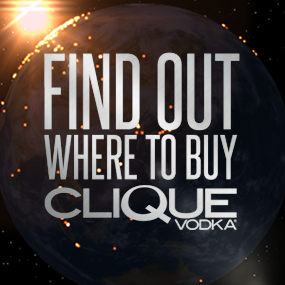 You can keep the raspberry hibiscus syrup in your fridge for up to 2 weeks- even longer if you throw in a shot of Clique Vodka! For the actual “Hibis-Kiss” cocktail you’ll need to shake up 1/4 oz of the raspberry hibiscus syrup, 2 oz of Clique Vodka, 1/4 oz freshly squeezed lime juice, and 1/2 oz white cranberry juice in a cocktail tin with ice. Strain into a chilled cocktail glass (either by filling with ice and water, or by popping it in the freezer for 5 minutes) and wha-la! 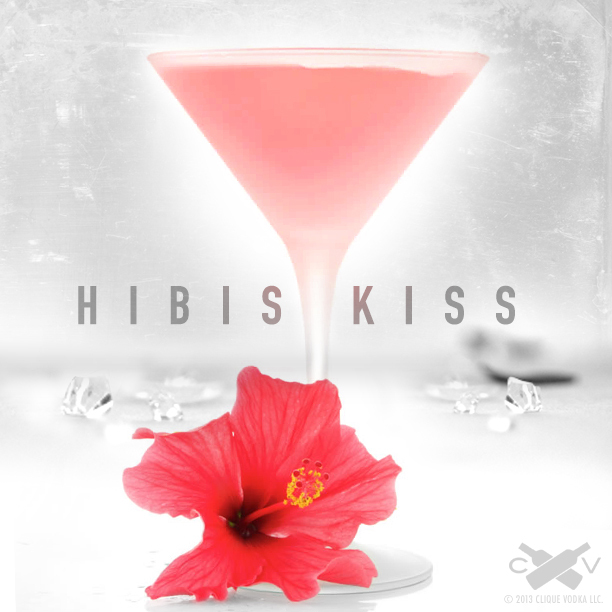 A “Hibis-kiss” cocktail! This cocktail doesn’t need a garnish, but if you happen to have a fresh hibiscus flower hanging around, it sure couldn’t hurt. -On second thought- If you did have some hibiscus flowers handy, you might want to consider making the syrup from fresh ingredients by simply adding 3 flowers and about 6 raspberries to steaming water instead of the tea bags. Let them steep for about 15 minutes before dissolving the sugar, and strain the syrup after it cools. Want more in depth recipe instructions? 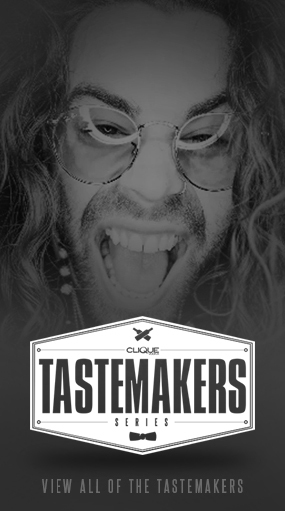 Check out the previous cocktail posts!